Who or what are the Anakim mentioned here? Is it simply "giants" as the term means in Modern Hebrew? The exact meaning of "Anakites" is uncertain. Some take it as an epithet meaning "long-necked ones," based on Hebrew 'anak, "necklace," and its Arabic cognate meaning "neck". Others relate it to names of people or places in Canaan or across the Mediterranean containing the element 'anak or to Greek anax, "nobleman". Lets look at each of these two theories. Klein says that anak ענק originally meant either a necklace for women, or a necklace for camels (Steinberg connects ענק with חנק - "to strangle, choke"). From this word we get the verb להעניק, which first meant "put something on one's neck" and later became "he loaded with gifts, presented." This verb only appears in Devarim 15:14, and indeed, Rashi and Ibn Ezra connect it there with the meaning of necklace. 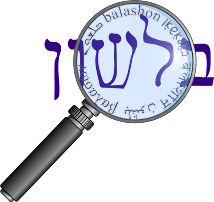 In modern Hebrew, a ma'anak מענק is a grant. As far as the Greek anax (or wanax), we find that Homer frequently used the term in the Iliad, for example in the name Astyanax - meaning "prince of the city".